Mother-Daughter duo, Avril and Cindy, combine their passion for found objects, steeped in history, design and nature. Together they create Avindy jewelry, with a reverence to years of world travel and a philosophy built on the beauty of handmade craftsmanship. 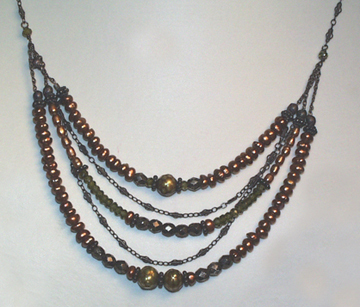 Avindy Jewelry incorporates gemstones, diamonds, antiqued metals, intricate chains, rare beads and handcarved pieces.